In those days, without the internet to call on, we bought a book and did a bit of reading. Then went to our local garden centre and bought some plants, including a water lily. Luckily, by pure chance, the water lily we got was wonderful René Gérard, a medium sized lily that flowered for us within a couple of months. 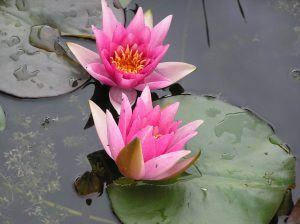 Water lily flowers come one after another. Each bloom starts as a bud, then gradually opens over a number of days. 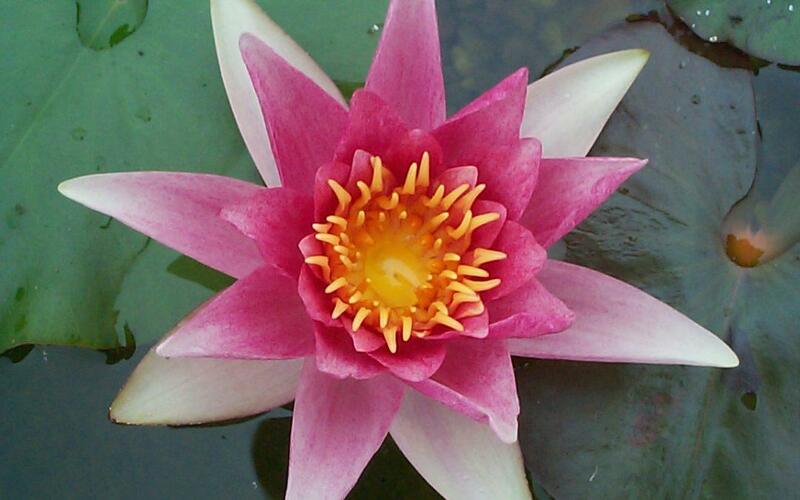 Once fully open, it flowers for three days before slowly sinking back into the water. But don’t worry, by this time the next blossom is preparing to flower. But it’s not all about the flowers. The wonderful green lily pads shade the pond for the fish and other wildlife, and reduce the amount of sunlight getting through, curtailing the dreaded algae. The wonderful thing about water lilies is that you are treated to a beautiful display throughout the season, from June through to September. Year on year each plant just gets better and better, making them such good value for money. And if you plant into a 10lt planting basket, you only have to lift and divide them every five or so years. 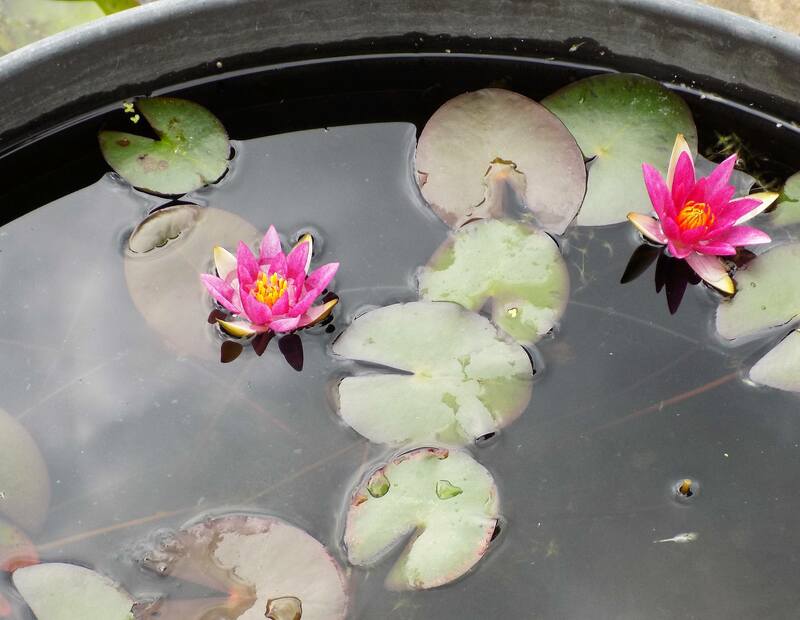 With our first tiny little pond we discovered the beauty of water lilies and that lead to a growing interest in all things water gardening. Gradually over the years, ponds took over more and more of our garden until there was barely any play space for the kids! Whenever we visited another garden, saw something on TV or read another book, we had to add another lily to our collection. People often ask us for recommendations, but each cultivar is special in its own way, and we genuinely love them all. These wonderful flowering plants come in a really wide range of colours. Choose from deepest red to palest pink, pale apricot to golden yellow. There are so many different sizes and shades of white (yes there are shades of white too). Flowers can be cup-shaped, star-shaped, as tiny as a 50p coin or as big as a plate. Leaves can be lime green, through to sage green. Some have maroon or pink markings or flecks, and some young leaves are almost purple. Some varieties can grow large enough to bring beauty and joy to the largest lake. Each mature plant can cover a circle of 2m in diameter with leaf at the height of the Summer. One medium-sized lily can cover a circle of around 1.5m. Small lilies cover around 1m and the teeny tiny pygmaea (pygmy) lilies can even manage to cover ½ m with their little leaves. 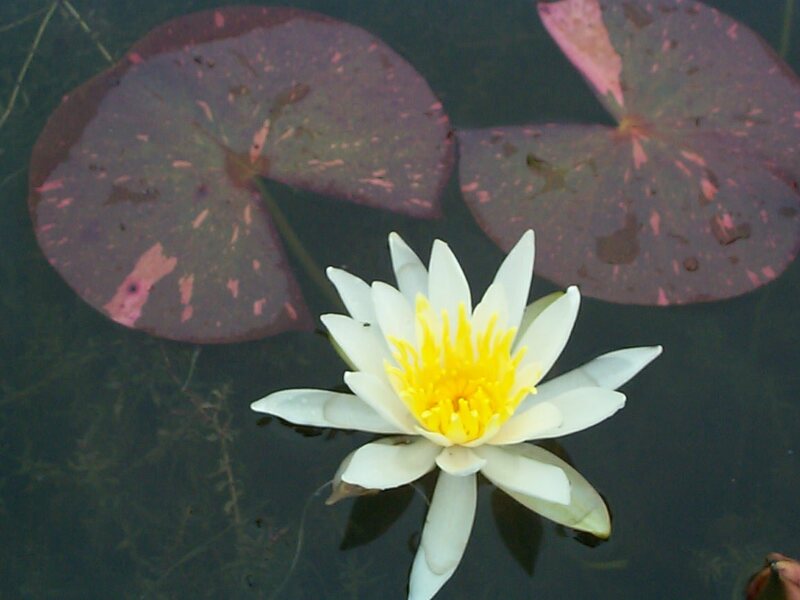 There is a water lily variety for every pond size and situation and to suit everyone’s taste. So, if you have a pond or are thinking of building one, there’s a water lily out there just perfect for you!